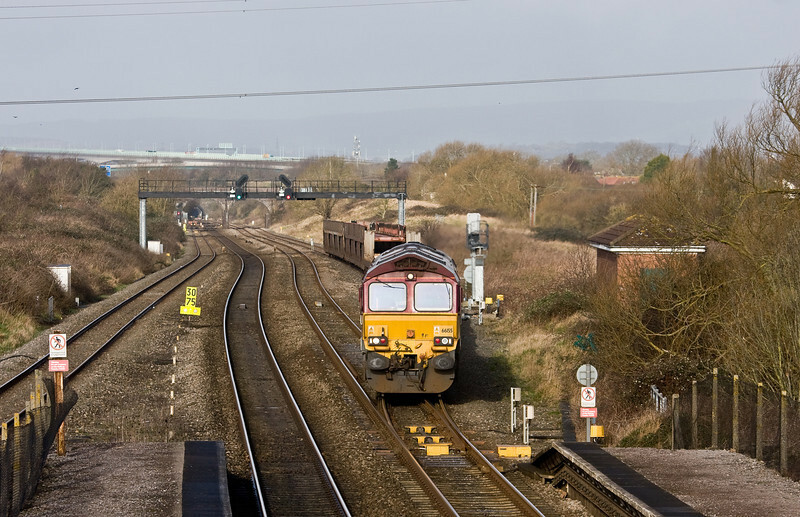 66014, 08.15 Avonmouth Bulk Handling Terminal-Aberthaw Power Station, Pilning, 4-2-14. 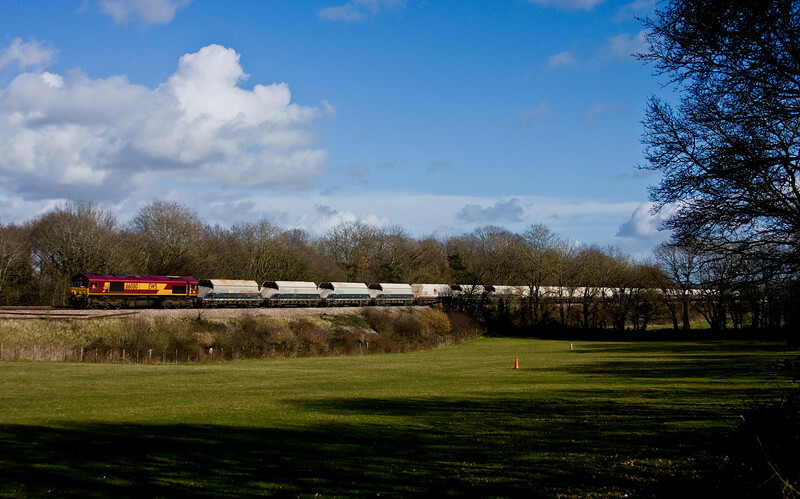 60001, 04.40 Robeston Sidings-Westerleigh Murco, Newport, 4-2-14. 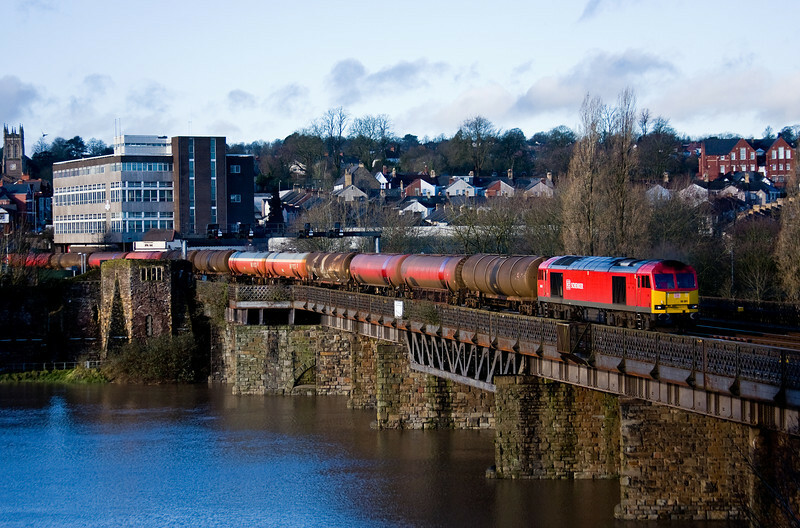 67001/82307, 05.33 Holyhead-Cardiff Central, Newport, 4-2-14. 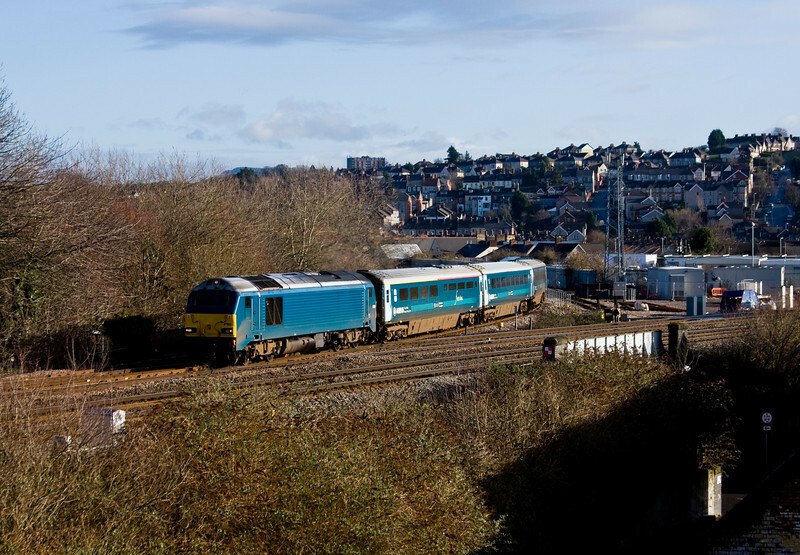 70009, 10.05 Cardiff Wentloog-Southampton MCT, Newport, 4-2-14. 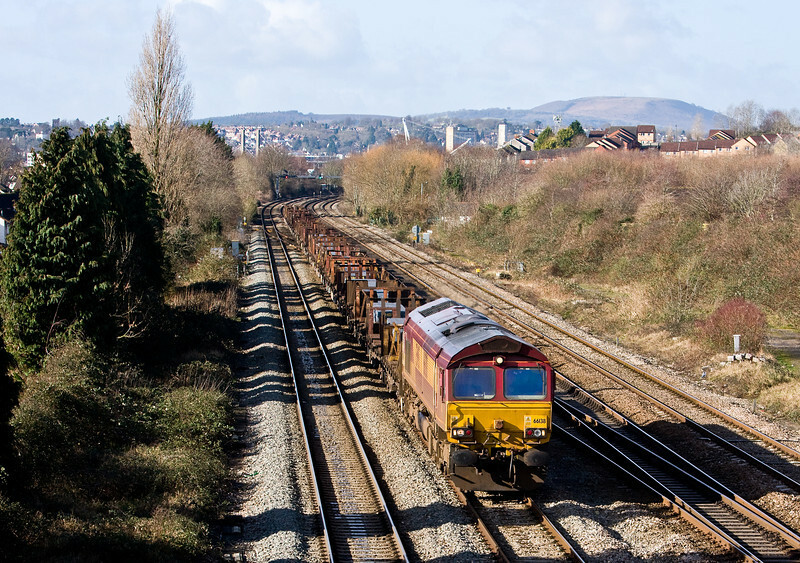 66091, 08.30 Aberthaw Power Station-Avonmouth Bulk Handing Terminal, Newport, 4-2-14. 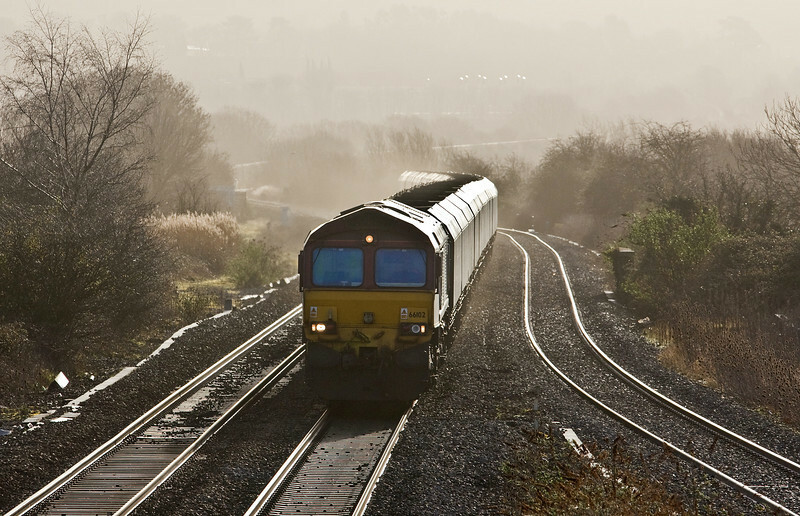 66141, 10.40 Llanwern Exchange Sidings-Margam, Newport, 4-2-14. 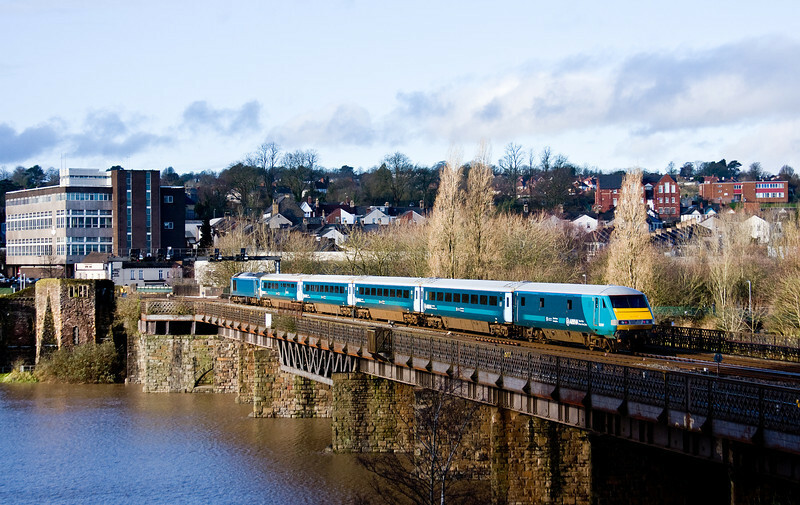 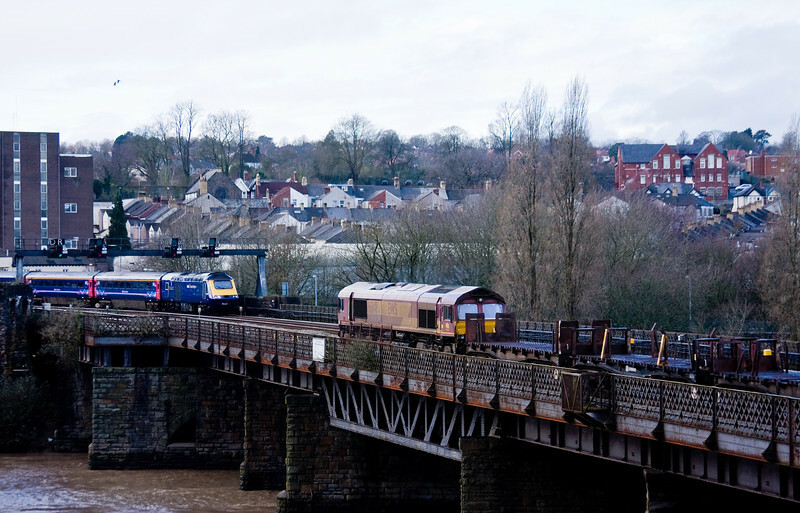 HST, 10.55 Cardiff Central-London Paddington. 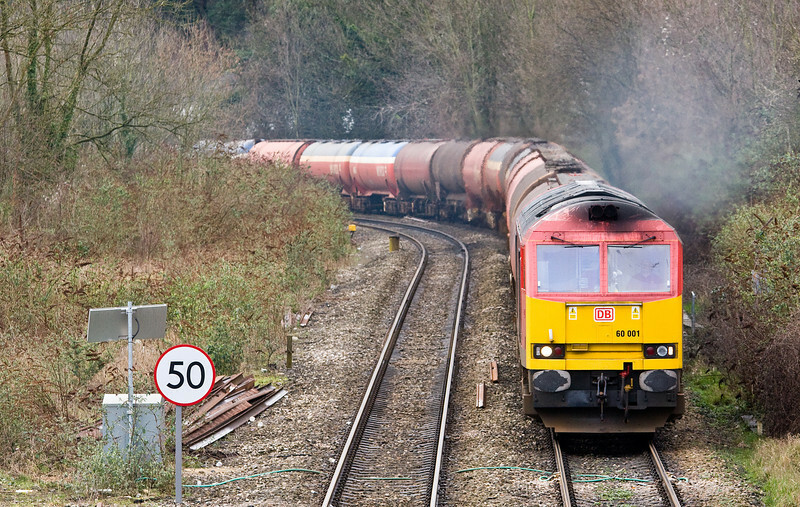 66305, 08.20 Daventry DRS-Cardiff Wentloog, Newport, 4-2-14. 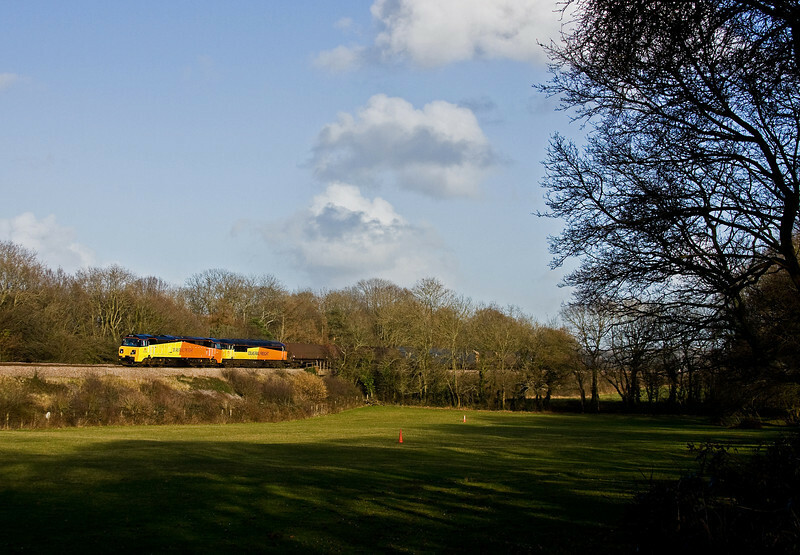 66140, 10.31 Margam-Dollands Moor Sidings, Newport, 4-2-14. 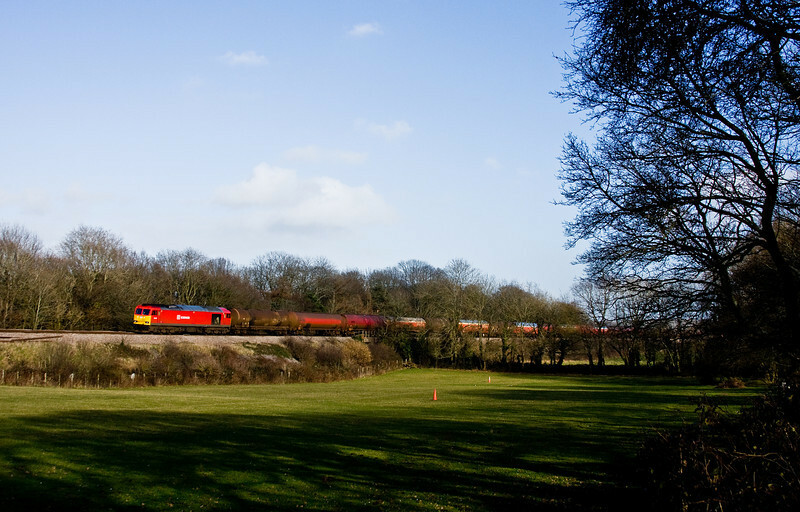 66201, 10.42 Margam-Llanwern Exchange Sidings, Newport, 4-2-14, overtaking 43148/43194, 11.55 Cardiff Central-London Paddington. 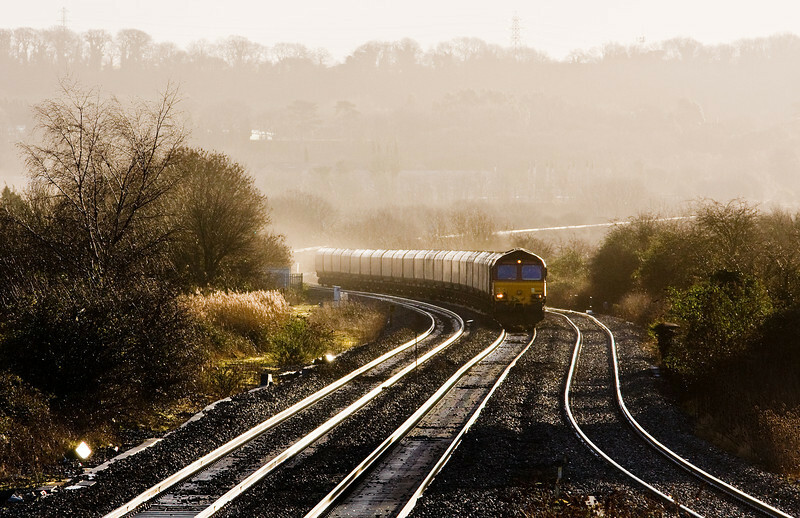 60059, 11.18 Margam-Dee Marsh Reception Sidings, Newport, 4-2-14. 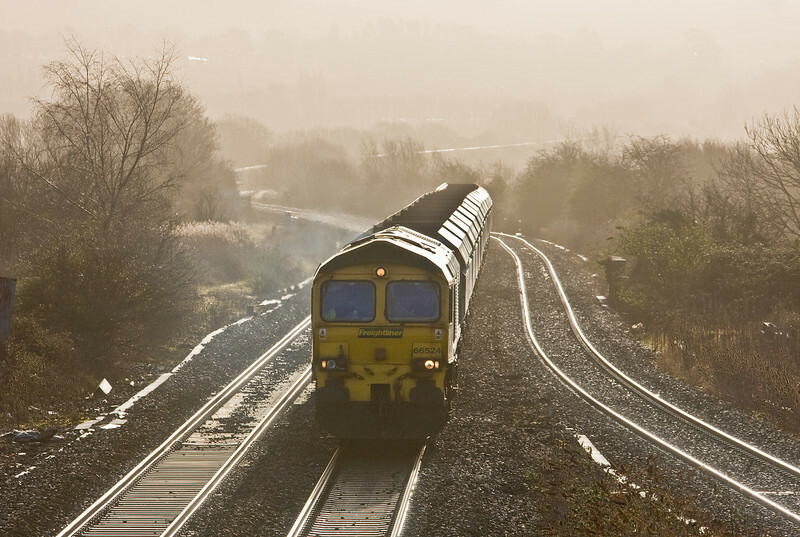 60100, 09.30 Dee Marsh Reception Sidings-Margam, Ponthir, near Newport, 4-2-14. 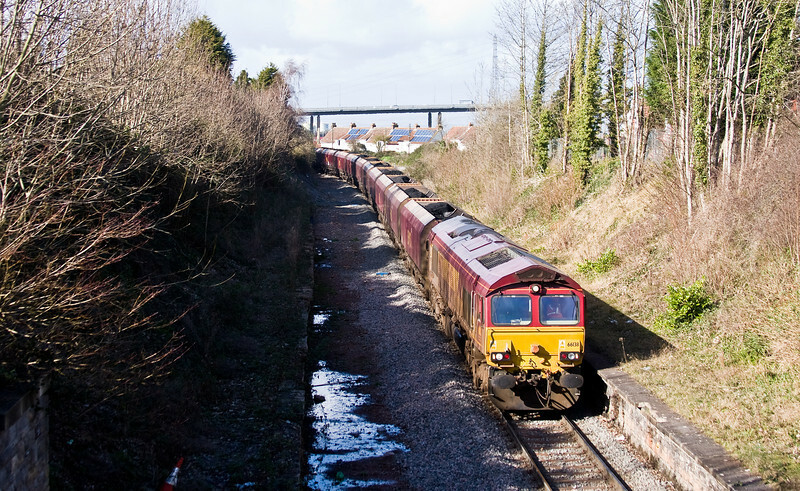 66599, 11.55 Portbury Coal Terminal-Rugeley Power Station, Ponthir, near Newport, 4-2-14. 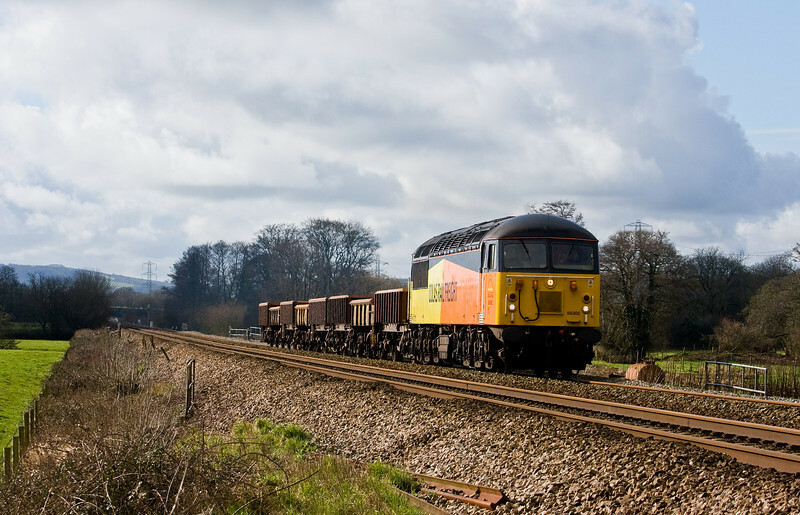 60059, 11.18 Margam-Dee Marsh Reception Sidings, Ponthir, near Newport, 4-2-14. 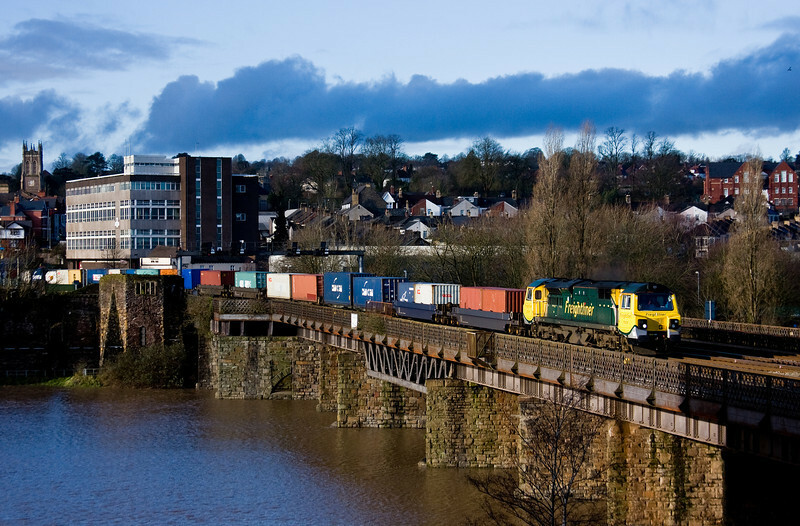 66846, 10.55 Exeter Riverside Yard-Westbury Yard, Whiteball, 10-2-14. 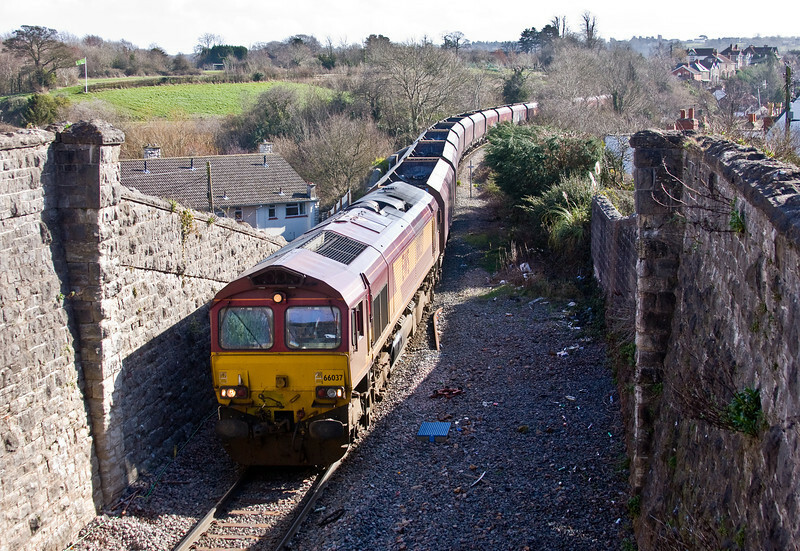 First departmental through Whiteball Tunnel since its reopening following a three-week closure for maintenance work. 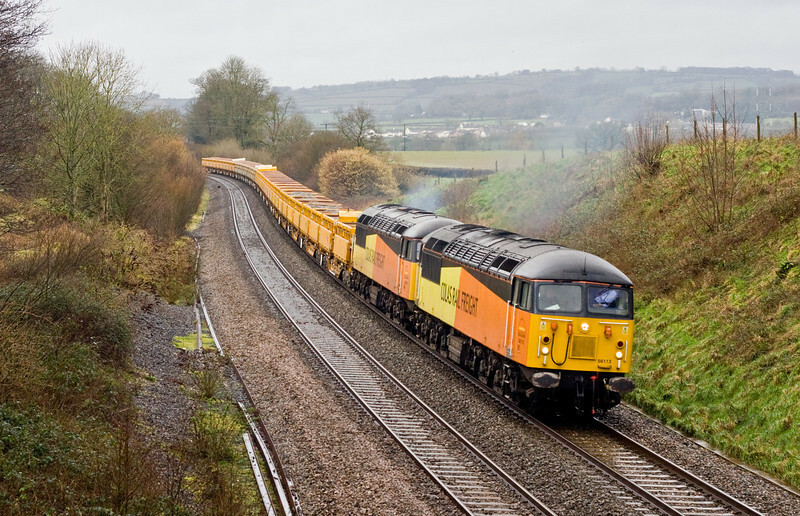 60001, 03.20 Robeston Sidings-Westerleigh Murco, Chepstow, 11-2-14. 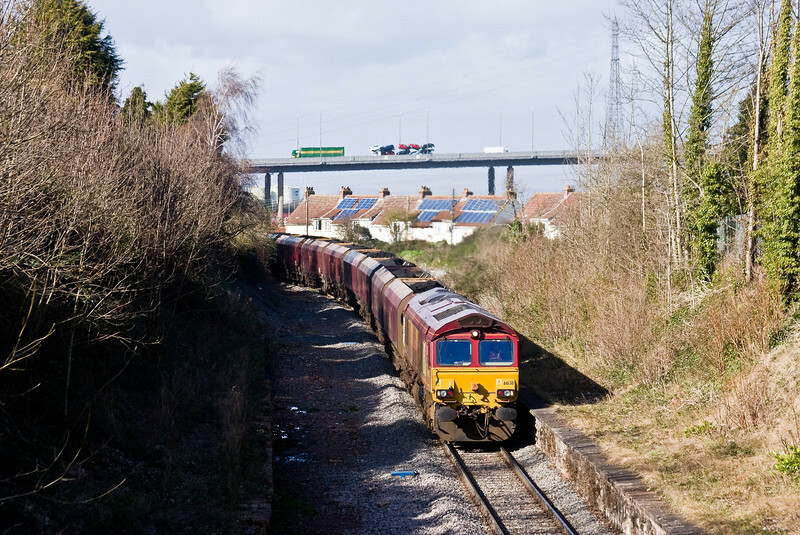 66138, 10.29 Margam-Llanwern Exchange Sidings, Llanwern West Junction, 11-2-14. 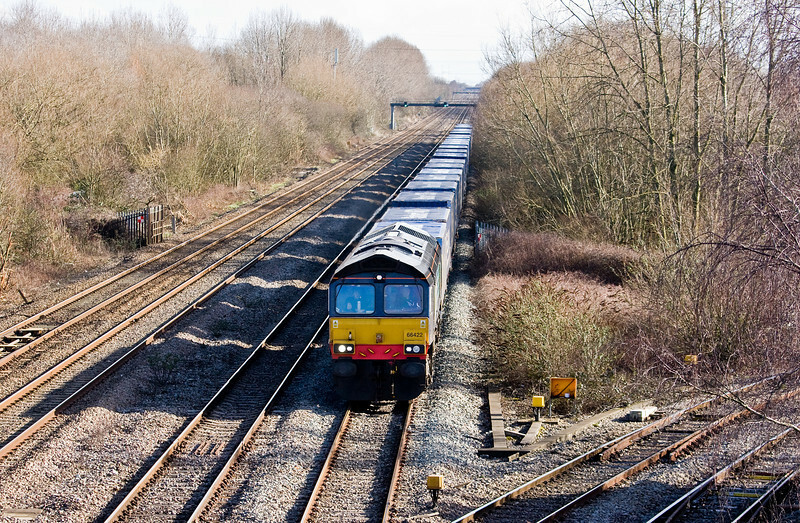 66422, 08.23 Daventry DRS-Cardiff Wentloog, Llanwern West Junction, 11-2-14. 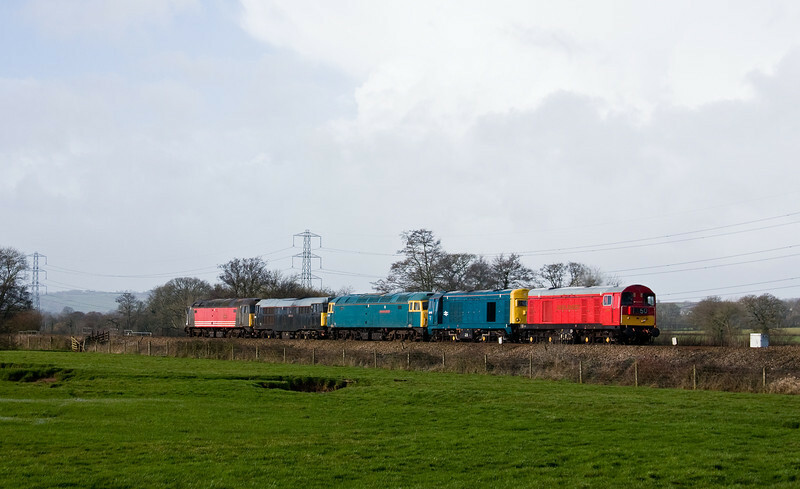 60040, 10.15 Round Oak-Margam, Woolaston, near Lydney, 11-2-14. 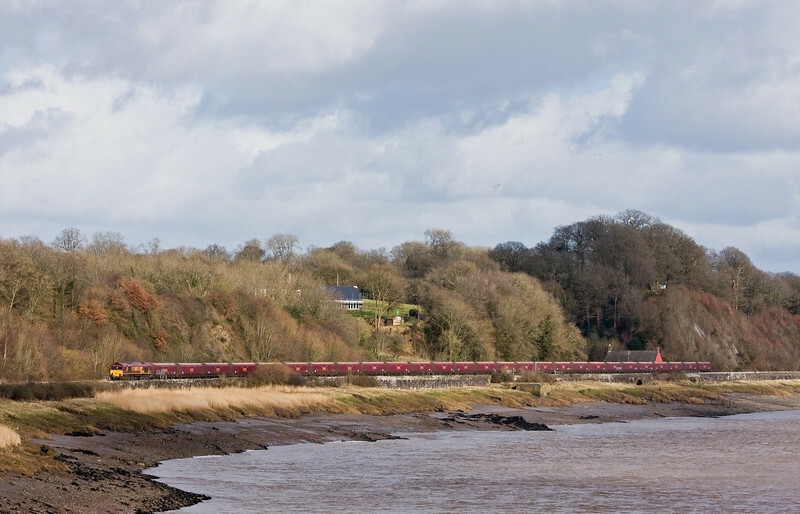 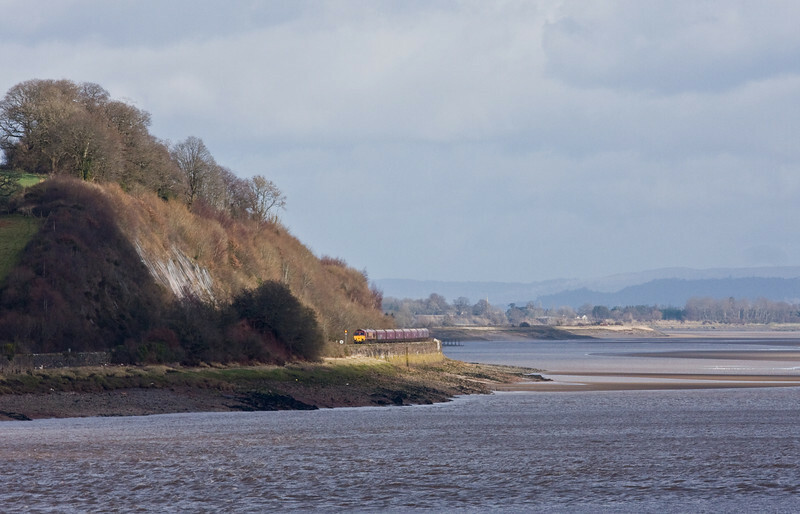 66140, 03.45 Redcar-Margam, Gatcombe, near Lydney, 11-2-14. 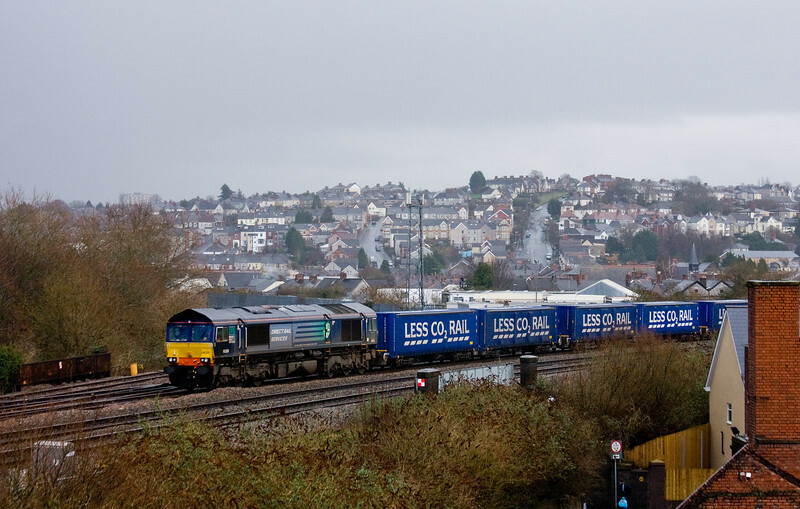 66702, 0935 Drax Power Station-Portbury Biomass Terminal, Coalpit Heath, near Bristol, 11-2-14. 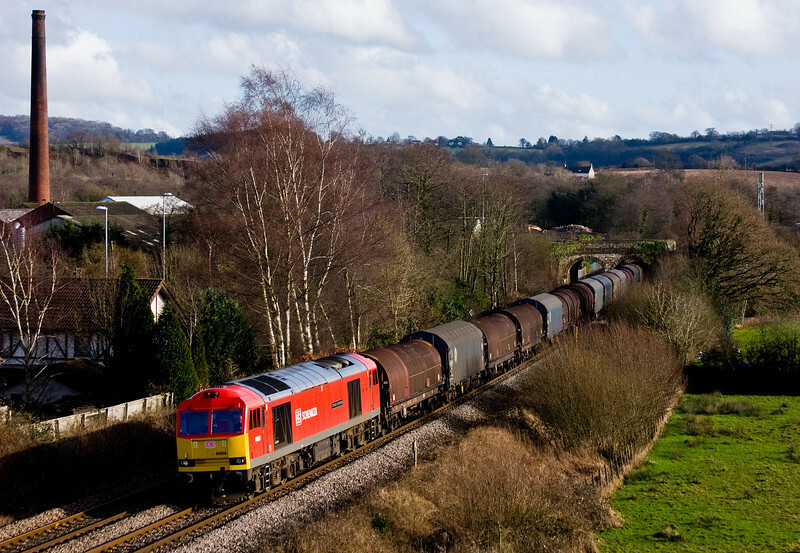 60059, 13.00 Theale Murco-Robeston Sidings, Coalpit Heath, near Bristol, 11-2-14. 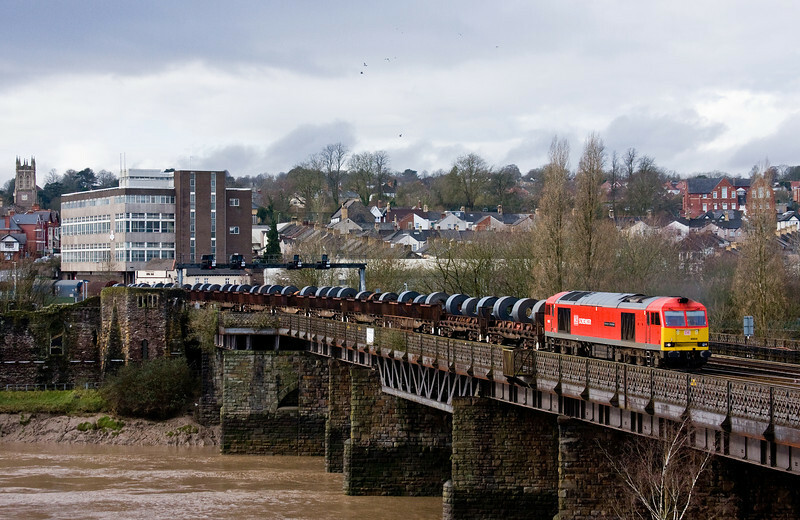 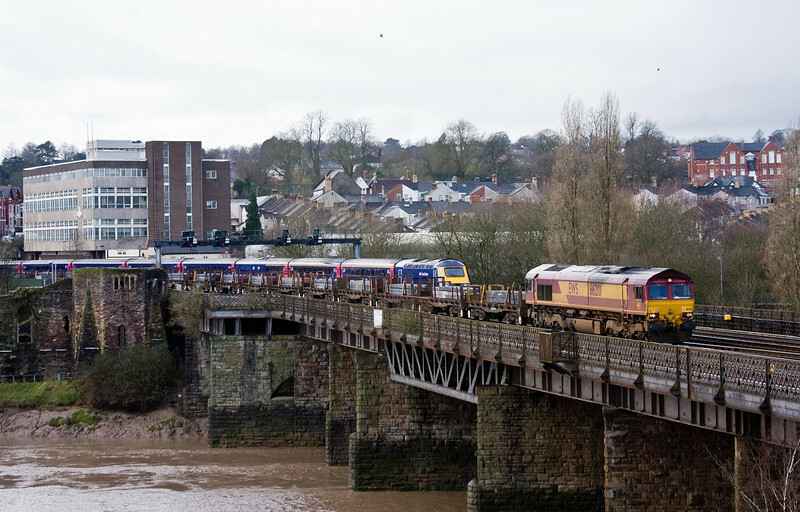 56302, 10.38 Exeter Riverside Yard-Westbury, Whiteball, 13-2-14. 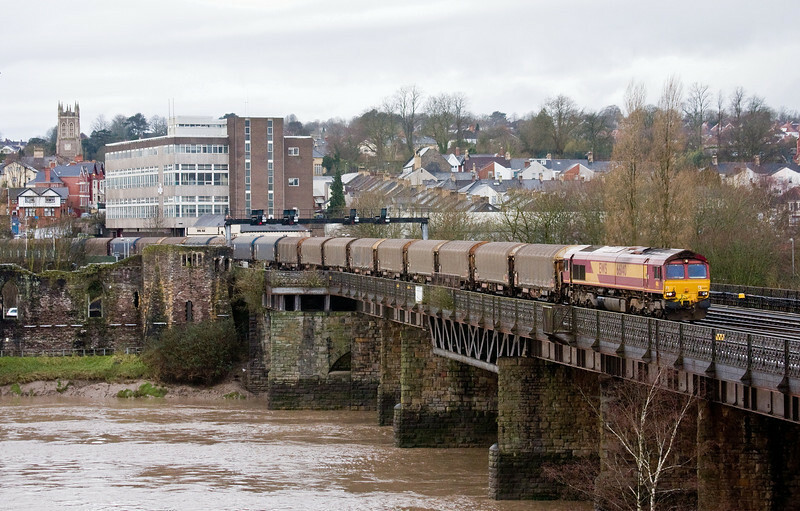 56113/56094, 10.48 Exeter Riverside Yard-Westbury Yard, Whiteball, 17-2-14. 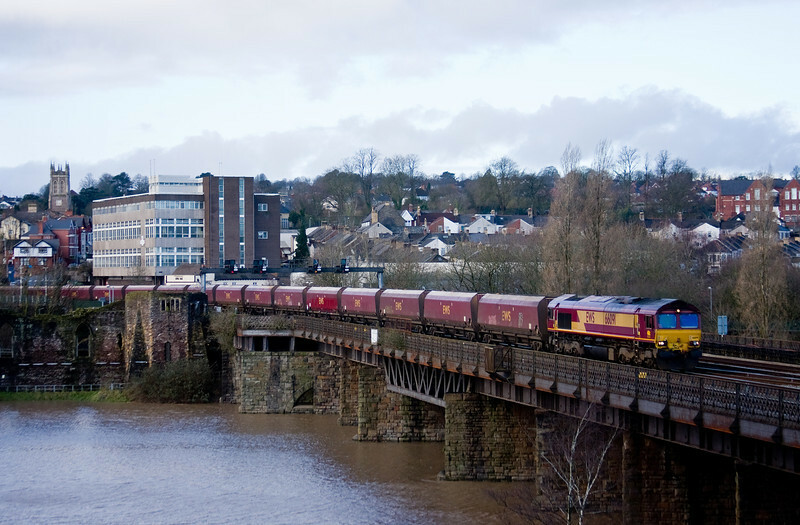 56302, 11.20 Exeter Riverside Yard-Westbury Yard, Pugham Crossing, near Burlescombe, 18-2-14. 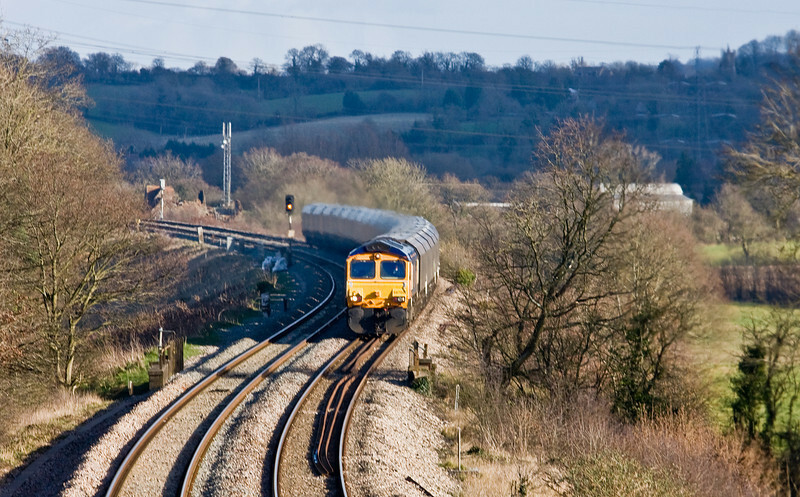 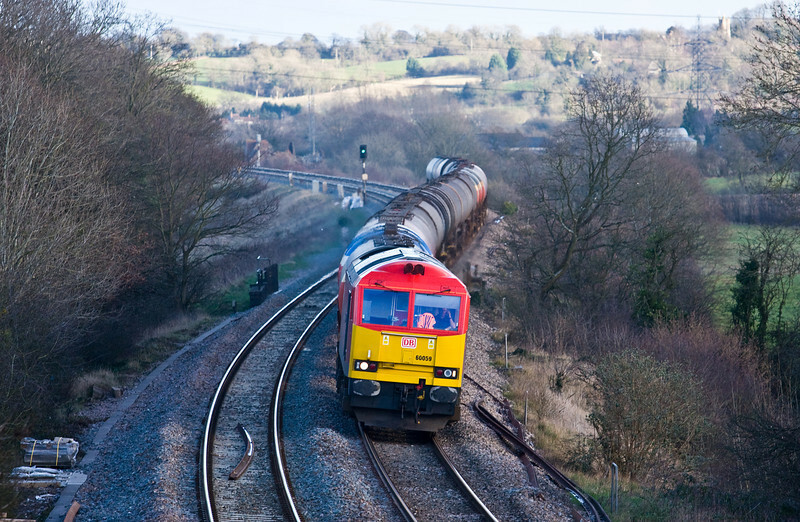 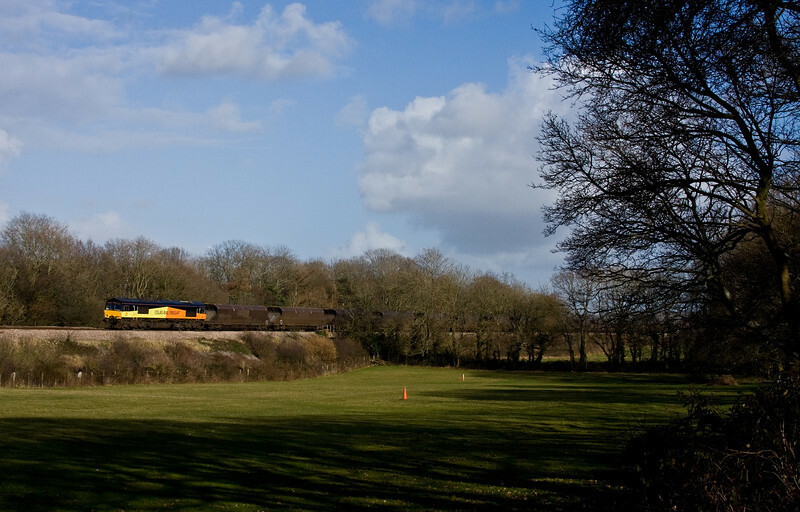 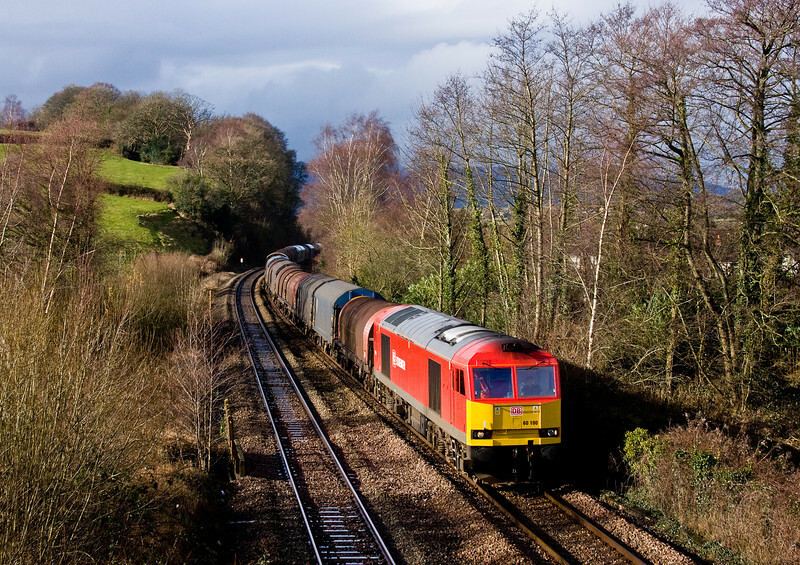 20189/20142/47375/31459/47769, 07.26 Okehampton-Derby Gas Tank Sidings, Pugham Crossing, near Burlescombe, 25-2-14. 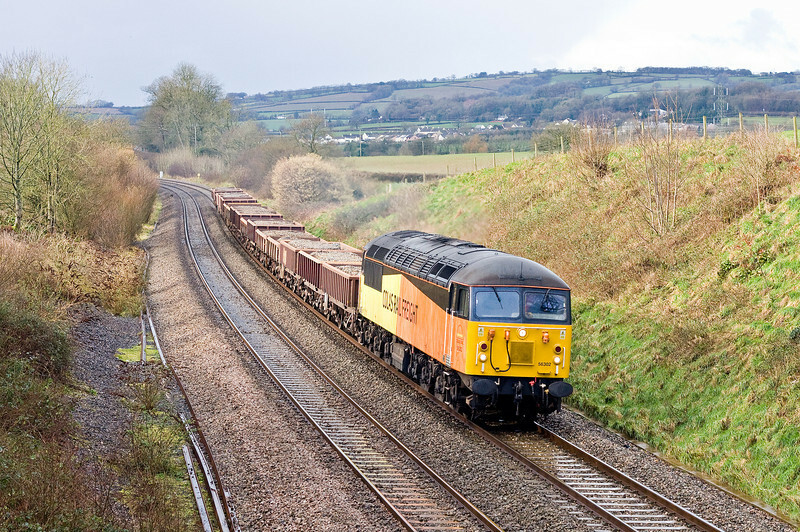 66617, 12.12 Westbury-Taunton Fairwater Yard, Creech St Michael, near Taunton, 25-2-14. 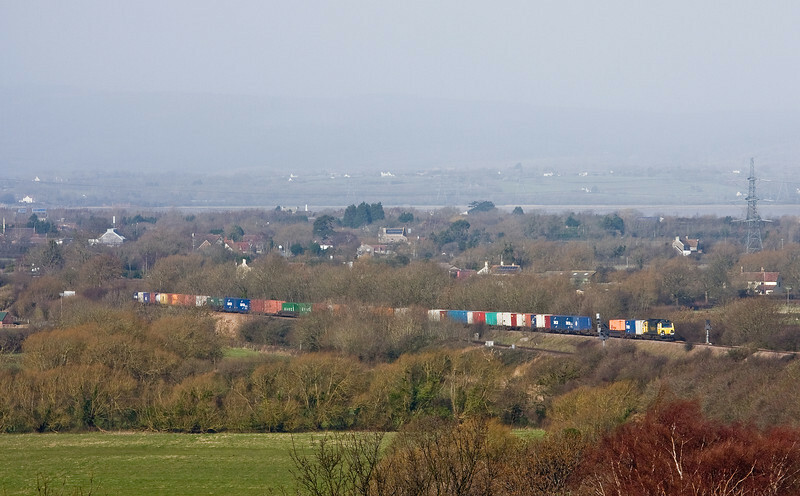 66524, 08.12 Bristol Stoke Gifford Yard-Swansea Jersey Marine, Pilning, 26-2-2014. 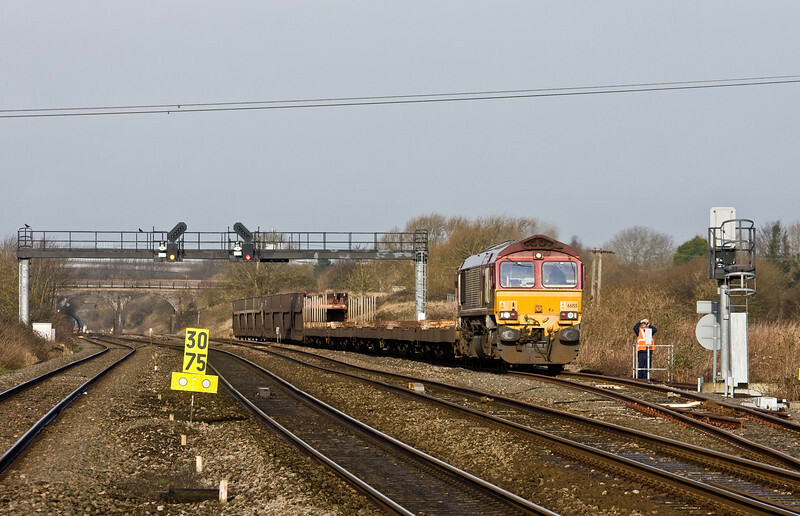 66155, 03.35 Warrington Arpley Sidings-Portbury Automotive Terminal, arriving Pilning Up Loop, 26-2-2014. 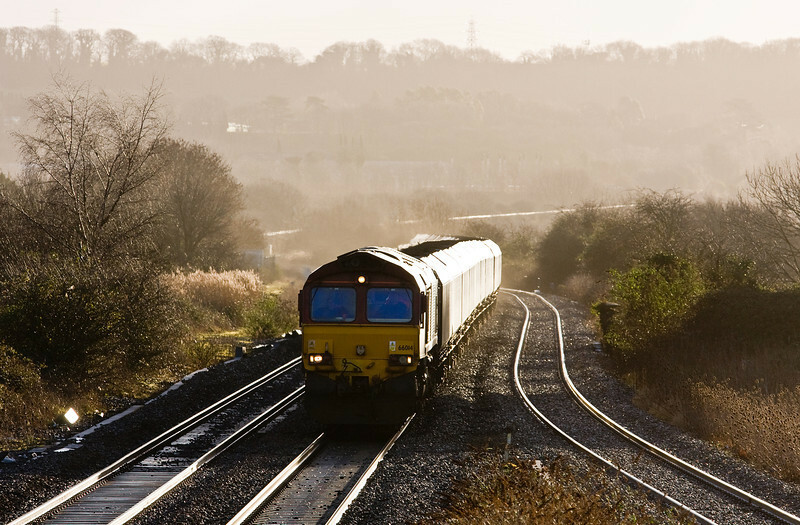 66155, 03.35 Warrington Arpley Sidings-Portbury Automotive Terminal, Pilning Up Loop, 26-2-2014. 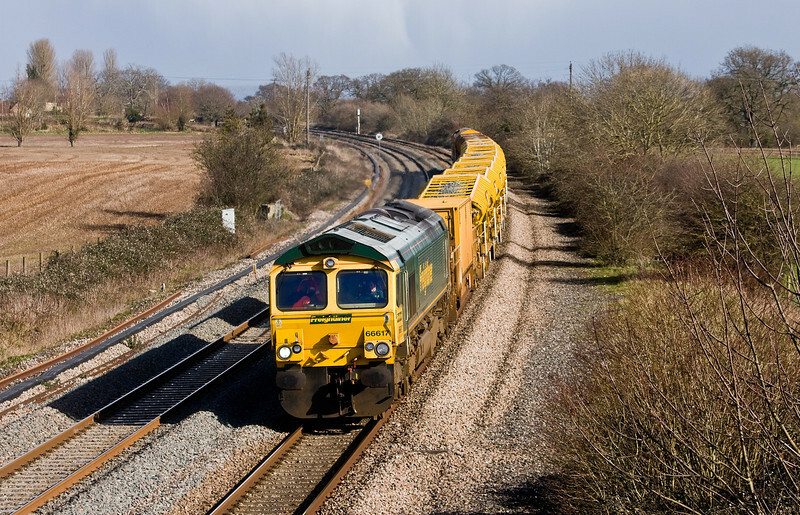 66102, 07.58 Avonmouth Bulk Handling Terminal-Aberthaw Power Station, Pilning, 26-2-14. 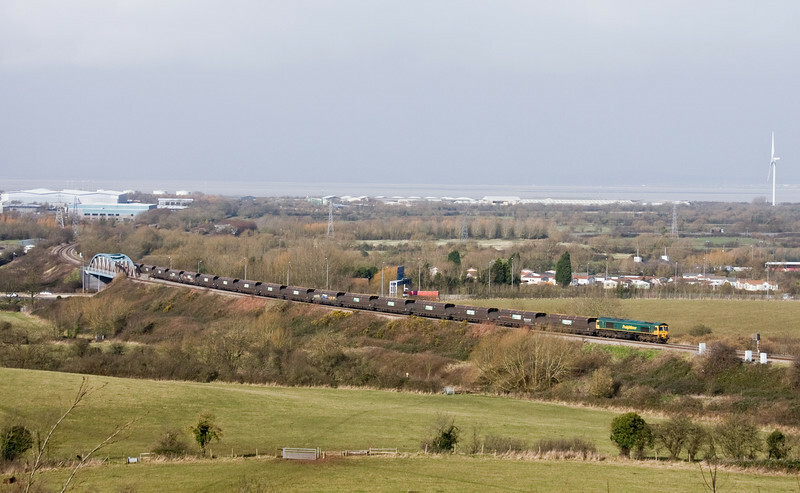 66155, 03.35 Warrington Arpley Sidings-Portbury Automotive Terminal, departs Pilning Up Loop, 26-2-2014. 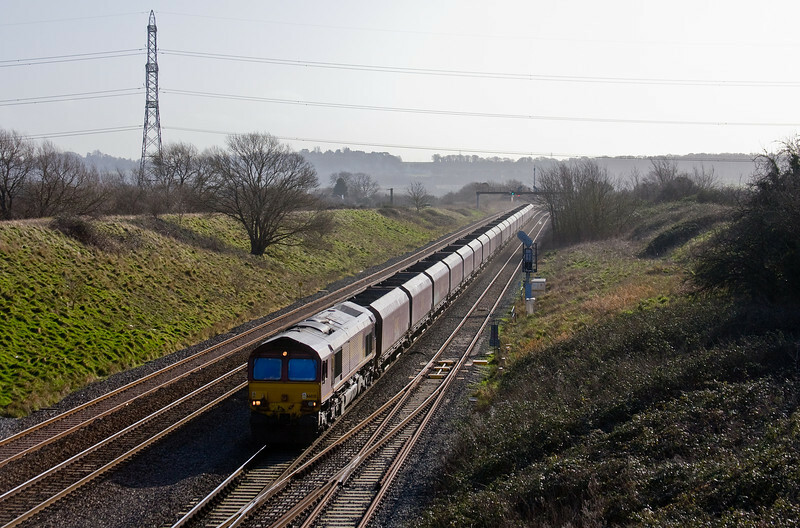 66532, 08.25 Portbury Coal Terminal-Fiddlers Ferry Power Station, Pilning, 26-2-2014. 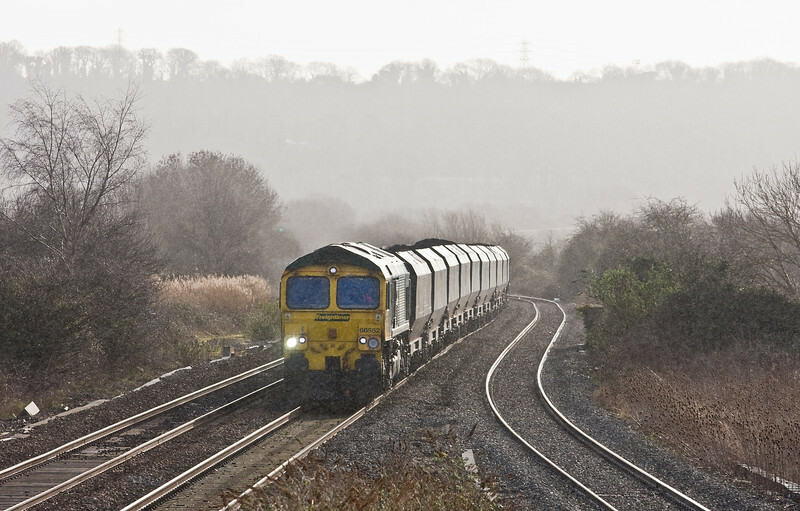 66035, 09.24 Avonmouth Bulk Handling Terminal-Aberthaw Power Station, Pilning, 26-2-14. 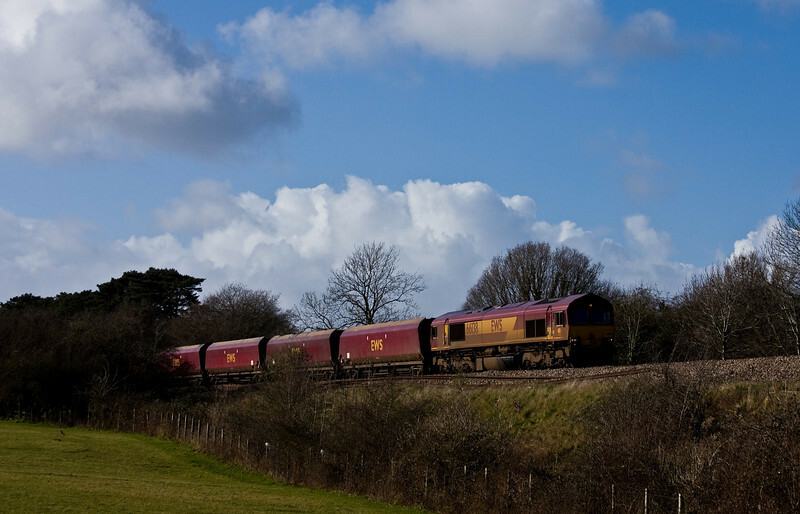 70017, 10.02 Cardiff Wentloog-Southampton MCT, between Pilning and Cattybrook, 26-2-14. 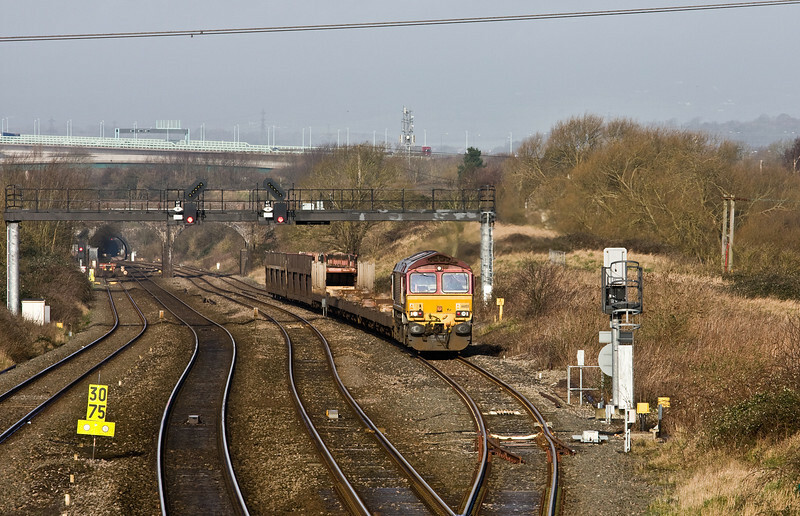 66037, 05.35 Ratcliffe Power Station-Portbury Coal Terminal, Pill, near Portbury, 26-2-14. 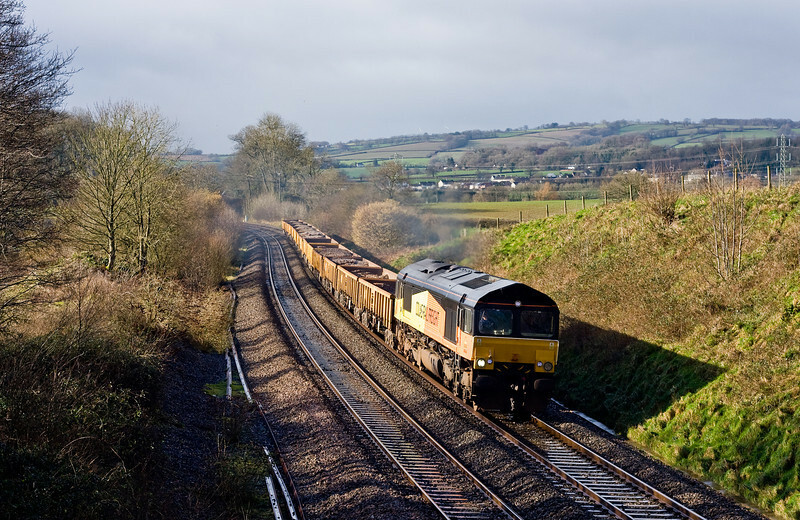 66138, 12.55 Portbury Coal Terminal, Pill-Ratcliffe Power Station, Pill, Ram Hill, near Westerleigh, 26-2-14. 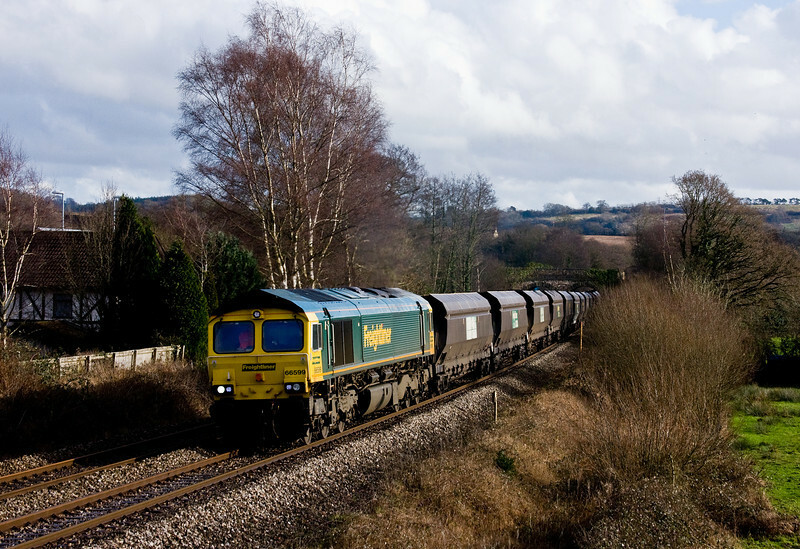 66848, 09.26 Ratcliffe Power Station-Portbury Coal Terminal, Ram Hill, near Westerleigh, 26-2-14. 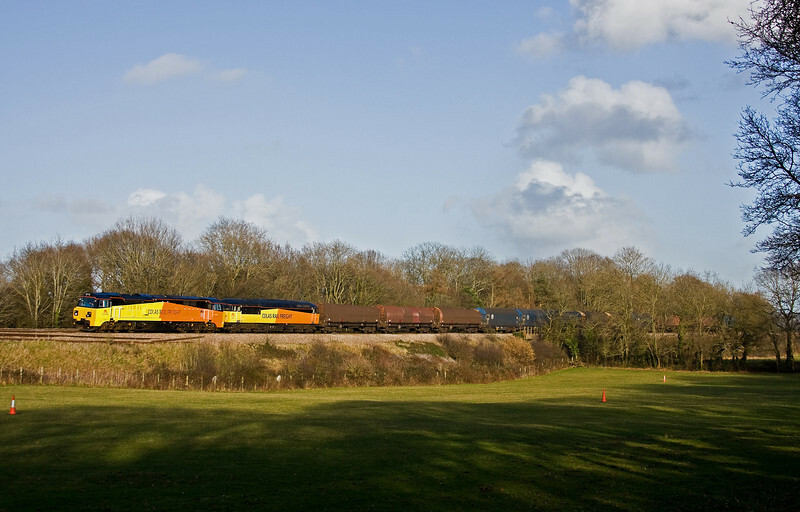 60039, 12.50 Theale Murco-Robeston Sidings, Ram Hill, near Westerleigh, 26-2-14. 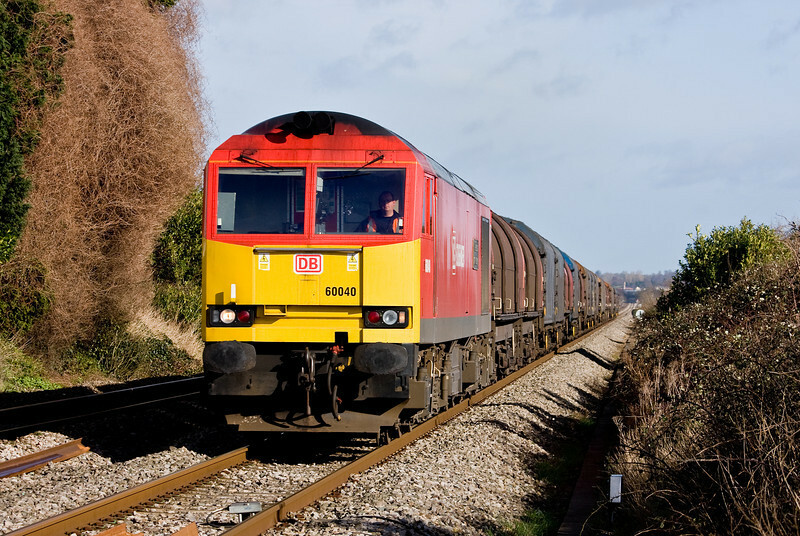 70801/56078, 11.00 Tilbury Riverside-Llanwern Exchange Sidings, Ram Hill, near Westerleigh, 26-2-14.